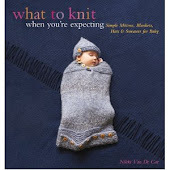 What To Knit When You're Expecting: AAAAAAAAAAAAHHH! Well, if ever I needed knitting, today is it. I did actually knit a Perdita for RockNoodle. It is supposed to be given to her on the morning of the wedding. It looks very nice. It is blocking on her bed. She will be home before I will. I'm trying to think of various machinations that will keep her away from her bedroom until after I get home...and I'm failing. I'm filling in for a colleague who is off visiting family in Nebraska, and taking over her job for the week. I like my job WAY. BETTER. Her job stinks. It involves a lot of getting really old files out of storage only to look through them and find that the birthday card she was looking for probably got thrown out ten years before. And then she needs to read the most illegible handwriting in the world (and believe me, I have illegible handwriting. I know this. Mine does not compare. You can tell that it is supposed to be English. This looks more like Arabic) and translate it into something resembling actual speech (my attempts usually look like "Dear Bob. I need to find the nostrils from the pantry. Is there any flare riding that you can arrive?") but don't ask for help because it will just cause anger. And yeah, there are more things that I could complain about but I won't because complaining is lame and then I'd have to complain about it. Still, I could use some knitting. I have knitting. 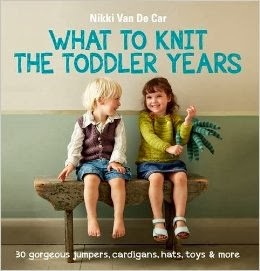 I have the yarn, I have the pattern, I have needles. I do not have the right needles. I have size 7s. I need size 4s. This seems like a large difference, and not one that could really be fudged. I could, it's true, run to Purl and buy some size 4s. But I can't really justify it because I have size 4s in both circular and straight needle form. And I have no money. There is no earthly reason that I need to purchase yet another pair of size 4 needles. Except that I will go mad if I can't knit.